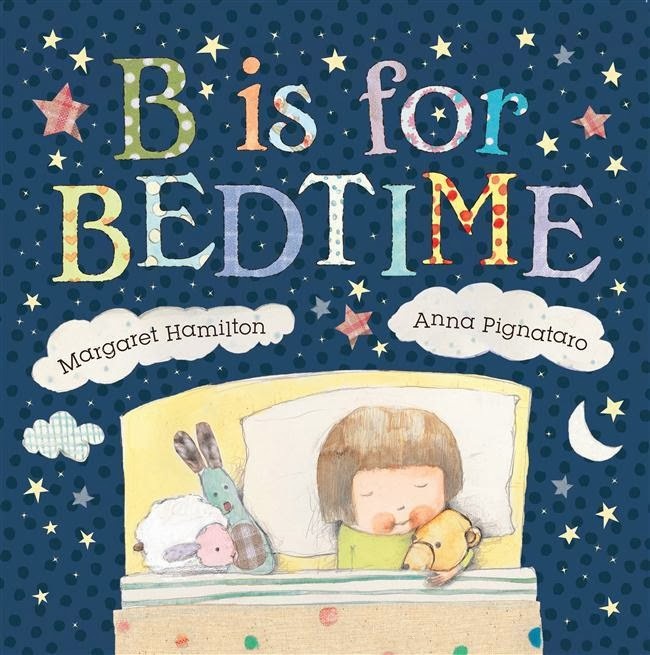 After a lengthy career nurturing and publishing talent, and championing the Australian's children book industry, Margaret Hamilton AM, and winner of the Dromkeen Medal (2004), has released her very own title - I'm sure under considerable personal pressure. Could this doyenne of Aussie Kids' Books create her own stand-alone tome after dedicating her life to the literary success of others? I absolutely love this beautiful bedtime story--an A - Z tale of the simple joys of childhood, from feeling bright and Awake (always after tea, right parents?) to the Book that is read to help little ones wind down, and on through E (that cosy eiderdown), H (bedtime hugs from Grandma) M (moon peeking through the curtains), T (teddy, who simply adores sleep) and all the way along to Z (I wonder if you can guess what Z stands for). A gentle, lilting rhyme gives this story the tender pace a bedtime book needs, and left me relaxed and quiet as the final page was turned. But what I love most about this story, are the teensy little alphabetised parts of the child and her life that both comfort the listening child and return mum or dad or grandma or Uncle Ben to the warm embrace of childhood. Anna Pignataro's gorgeous, textured illustrations are infused with a pastel calm that resonates beautifully with the text. Clean, white backgrounds give the illustrations and typography the breathing space it deserves, making for a lusciously visual book. And be prepared to gasp over the endpapers, aficionados. I know and admire Margaret very much, so writing a review for her first picture book, I realise, may be fraught with subjectivity. It was such a delight, then, to read this book and fall in love with its content completely independently of Margaret's name. I, for one, am thrilled Margaret Hamilton has turned her hand to authorship. Clearly a woman of many talents, I can't wait to see what she produces next.